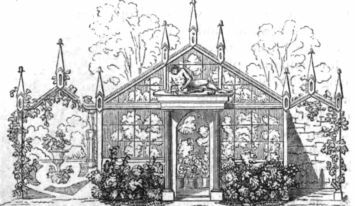 The traditional white painted greenhouse can still be obtained and can have more historic character than modern stained cedar. Alitex Greenhouses, established in 1952, are based on Victorian Greenhouse and Glasshouse design combine horticultural knowledge, engineering excellence. Griffin Glasshouses creates beautiful bespoke glasshouses, greenhouses and orangeries for discerning gardeners in the UK and internationally, as well as a collection of glasshouses for the National Garden Scheme. Whatever you may have in mind, small or large, Victorian or modern, we are happy to share our experience and guide you through the decisions you need to make to create your perfect glasshouse. Hartley Botanic greenhouses have remained synonymous with enduring style and excellence for over 75 years. When judged on design, appearance, build quality and performance, our greenhouses continue to set the standards that generation after generation have aspired to. Marston & Langinger produce conservatories of the highest quality with great attention to detail. Related products include lantern lights and greenhouses, and they have an extensive range of traditional doors. At White Cottage Leisure Buildings they design, manufacture and install glasshouses in painted cedar to replicate those built in the Edwardian and Victorian periods.